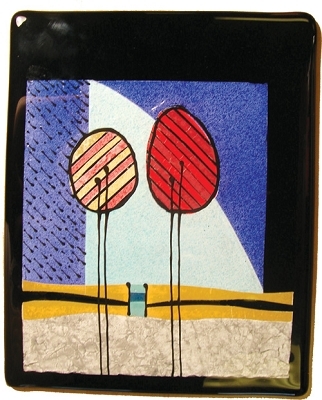 Create Designs in Glass with Fusible Paper! Create with paper and fuse your designs to preserve them in glass. Now it's possible with fusible colored paper, designed to be fired between layers of glass. Easily create designs in paper. Add detail with Glassline Pens. Paper is compatible with all glass COE's. 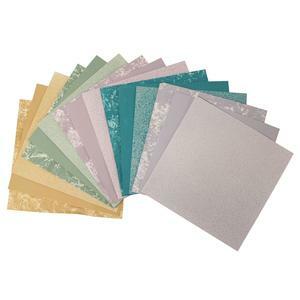 Assortment contains 5 complementary colors of paper, each in three styles (plain, splatter and crinkle), for a total of 15 sheets. Each sheet measure 5" x 5". Detailed firing instructions included. For tips and instructions, click "View User Manual". Project created using Fusible paper and Glassline Pens #802015. Pros : Makes a beginner create advanced looking projects with ease! Millions of options, ideas, creative flows endlessly... This is another must have. Each texture and style creates magnificent artwork! Try them all and have great fun. Cons : Want to buy the entire pack all in one discounted price! I would like to see the entire set with all the textures in one fusible paper packs! I know they do style but I want a complete package of everything! Other Thoughts : On your next order add this! I promise you wont be disappointed! With the end of our very first ever Pinterest contest, we are thrilled to welcome over 1,000 new followers to our Pinterest boards. We hope that everyone found inspiration to create glass garden art projects of their own from our Glass Garden Art board and our Garden Center. Congratulations to the winner, Cindy Pilat, who was randomly selected. Cindys board has an inspiring collection of glass garden art. As the winner Cindy will receive an assorted mix of flameworking and jewelry supplies - plus a few fun mosaic supplies, a $100 value. Want to participate in future contests? Delphi announces all special events and contests through our email newsletters, sign up today. Also like us on Facebook to stay connected to all things Delphi. Thanks to all who participated in this contest.